Today is my very first post being part of "Carriers of Faith"! Carriers of Faith is a blog group of Christian women who love to stamp and share their faith. Each month a hostess will give us a scripture & theme to inspire, encourage, and see how our faith shines through. Take a look around. What do you see? What brings joy, beauty, happiness, peace, serenity to your heart? January photo inspiration: Spending time in stillness, in prayer. To be very honest, I've not been able to wrap my head around this one. Yes, I love the scripture...but there isn't really one special place that I pray because to me prayer is a constant communication with God. I'll pray on my way to work. I'll pray in the shower. I'll pray if I wake up at night and can't sleep. I'll pray in the kitchen, living room, outside...it just doesn't matter where. He has overcome, yes He has overcome. He is fighting for us - fighting for me. I'm alive and free in Jesus' Name!!! The enemy's are defeated! So what inspires me today...it's my church. 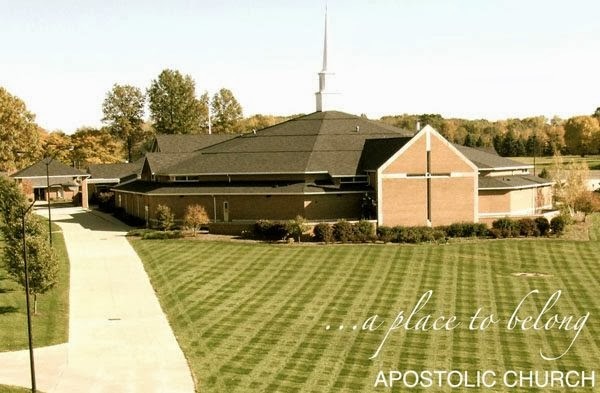 The Apostolic Church of Barberton. Thanks for stopping by today and spending a few moments with me...and don't forget - God is fighting for YOU!! I am so sorry to hear about the loss in your community. How very sad. I am glad that your church was able to lend some comfort. It is such a pretty church too! I look forward to our group - thanks for sharing! Oh my goodness, Zella, your post moved me to tears. First, I am so sorry to hear of the tragedy in your community. Heartfelt prayers are lifted for all of you. And your church - it surely sounds like a loving group of people. I loved hearing the "message" your pastor shared and illustrated with the table and chairs. 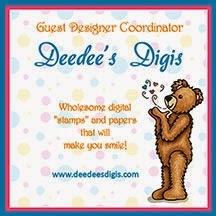 Thanks for being a part of this new/revised blog group! I like this verse, Zella. It reminds me that I need to stop and listen. Like you, I do a lot of talking to God -- I pray -- but I'm not always so good at the sitting still and listening part. Your blog is beautifully written, and I look forward to receiving more of your heartfelt words and inspiration. Amen! Your post is poignant and so from the heart. What a horrible tragedy to touch the lives of someone so young but a blessing that your church was able to reach those at a time of greatest need. Blessings to you! So sorry about the loss in your community.But was heart warming to hear about what your church did at this time. And your church looks very beautiful! No better place than in HIS house! So sorry to hear about such a tragedy! That is awful! The church is not the building, it is the people- so nice to hear your church welcomed fellow towns people to grieve and be close to HIM!